Clinic Synopsis: This session will focus on stretches for body preparedness and exercises to help develop optimal tone production. Participants are encouraged to bring their string instruments. 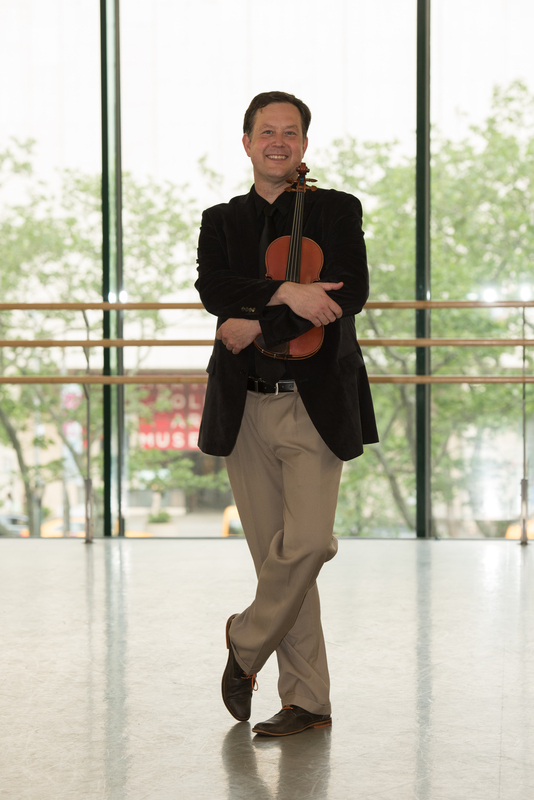 Clinician Biographical Information One of the most versatile and charismatic violinists today, Brian Lewis is an exceptionally dedicated and gifted performer whose passionate artistry has been heard and embraced around the world. "There are a lot of fine violinists on the concert stage today, but few can match Lewis for an honest virtuosity that supremely serves the music,” reports the Topeka Capital-Journal. Acclaimed performances include concerto debuts in both New York's Carnegie Hall and Avery Fisher Hall, as well as performances with the Orchestra of St. Luke’s, the Berlin (Germany), Louisiana, Kansas City, Hartford, Syracuse, Odense (Denmark), Lima (Peru), Boulder, Guadalajara (Mexico), Sinfonia Toronto (Canada), and American Symphony orchestras, among many others. Internationally, Mr. Lewis has been a featured recitalist in Australia, Canada, the French West Indies, Puerto Rico, Japan, Korea, Taiwan, France, England, Denmark, Mexico, El Salvador, Honduras, Guatemala, Costa Rica, Peru, Chile, and Brazil. As a dynamic and engaging teacher, Mr. Lewis is committed to growing the legacies of the great pedagogues Dorothy DeLay and Dr. Shin’ichi Suzuki for future generations. Mr. Lewis currently holds the David and Mary Winton Green Chair in String Performance and Pedagogy at the University of Texas at Austin, serves as Artistic Director of the Starling-DeLay Symposium on Violin Studies at Juilliard, and is Artistic Director and faculty member of the Brian Lewis Young Artist Program in Ottawa, KS. Recognized for his vast outreach success including working with and performing for more than 165,000 children in the Houston area, Mr. Lewis taught community engagement courses at the Yale University School of Music during 2010-12 as the Class of '57 Visiting Professor of Music. Mr. Lewis has recorded numerous CDs, including the world premiere recording with the London Symphony Orchestra of a commissioned work, Elements, by American composer Michael Thomas McLean. Mr. Lewis has served as a distinguished juror for many competitions, most recently for the 2014 Menuhin International Violin Competition. Awards for his musical contributions include the Instrumentalist Award by the 2014 Austin Critics’ Table, two Teaching Excellence Awards at the University of Texas, ING Professor of Excellence Award, Medal of St. Barthélemy, Texas Exes Teaching Award, Fredell Lack Award, 1998 Young Audiences Artist of the Year, Peter Mennin Prize,William Schuman Prize, SONY ES Fellows Award, Audio Magazine Award, Waldo Mayo Talent Award, and two Elizabeth B. Koch Fellowships. More information about Mr. Lewis can be found at www.brianlewisviolin.com.